On 28 September 2013, Only Watch, organised by the Association Monégasque contre les Myopathies (Monaco Association for the Prevention of Myopathies), together with the auction house, Antiquorum, and the Monaco Yacht Show, is auctioning some unique watches from 30 luxury watch brands, in support of research into Duchenne Muscular Dystrophy. From 30 August, these watches will go on display all over the world and will then be auctioned in Monaco (www.onlywatch.com). 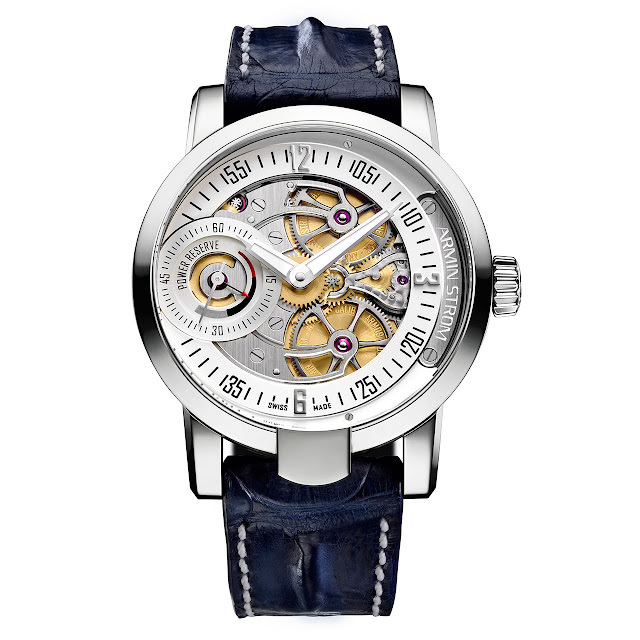 For this occasion, Manufacturer Armin Strom has designed the unique model One Week Skeleton Water ONLY WATCH, reflecting Armin Strom’s forty-year skeleton watch tradition and its transition into the present era. The timekeeper is powered by an ARM09 Manufacture movement with double going barrel and reveals the beautiful mechanical movement through the dial ring. As unique piece, the ONE WEEK SKELETON WATER ONLY WATCH displays skeletonized bridges and bottom plate. 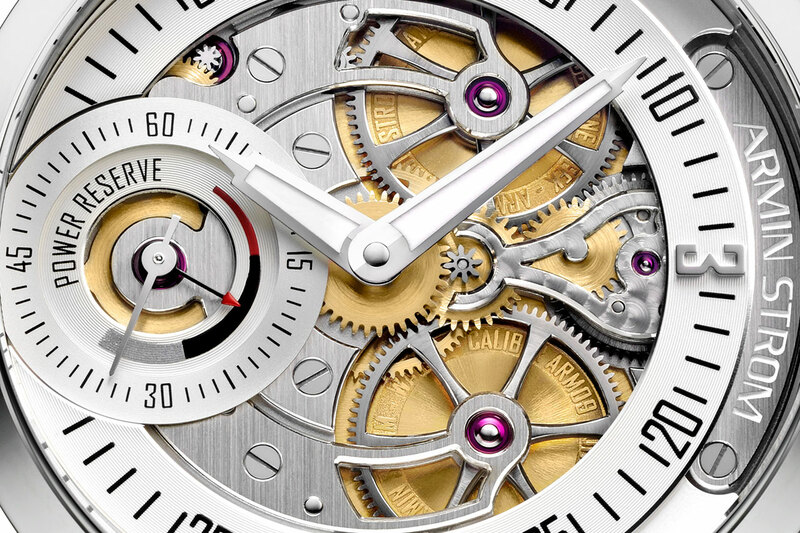 Through the sapphire crystal case back next to the skeletonizing also the gear train bridge hand-engraved with waves can also be admired – a reference to Monaco as the auction venue. The Manufacture movement and off-centre time display of hours, minutes and seconds, and the 8-day power reserve indicator at 9 o’clock are housed in an 18ct white gold case. The watch is fitted with a blue alligator “horn-back” bracelet, comprising a double folding clasp and blue rubber strap. It comes in a high-quality box with a certificate. Delivered with a genuine blue alligator horn-back leather strap with a double-folding clasp as well as an additional blue rubber strap.